Georgian Bay Art Conservation (GBAC) was founded in 2011 as a regional center for the long-term preservation and restoration of art and archival materials. Owner and principle conservator, Amber Harwood, has been a life long advocate for the arts and has devoted her career to studying, researching, training, lecturing, writing about and preserving fine art. 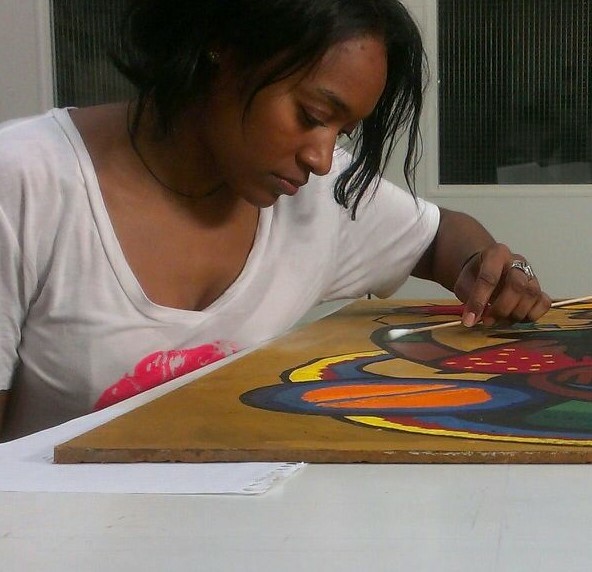 Her experience includes artistry, exhibit design, curation, museum studies, and fine art conservation. From its inception, Harwood envisioned a dynamic and multidisciplinary workspace that would offer clients a comprehensive range of preservation services all under one roof. 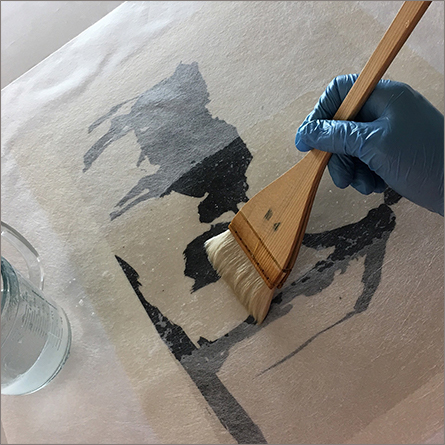 Today, GBAC is proud to offer conservation and restoration services for paintings, art on paper, sculptures, photographic media, historic documents, and textiles. 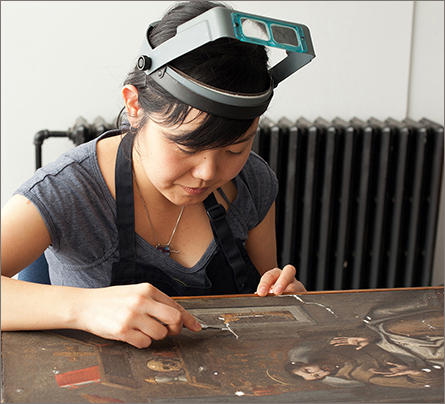 Their team of heritage specialists include art conservators with advanced degrees in art conservation and collections management, digital restoration specialist, and professional art handlers and installers. In 2016, the center expanded to include custom picture framing, archival storage design, and wood, plaster, and gilded frame restoration. Georgian Bay Art Conservation represents excellence in art preservation; it’s where innovative and creative design meets the highest degree of preservation knowledge, skill, and craftsmanship. Through our work, advocacy and community engagement, we aim to promote a broader understanding of the importance of cultural preservation and increase accessibility to a comprehensive range of preservation services. In using the most current techniques, materials and equipment available in the conservation industry, we strive to preserve the historic integrity and respect the artistic intent of your artwork. we work directly with our clients in an effort to balance their vision with the preservation procedures required to repair, restore, and ultimately extend the life of your most valued objects. 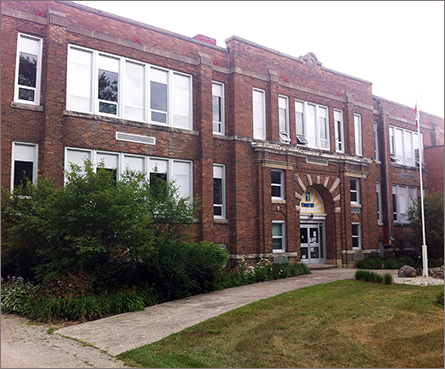 Georgian Bay Art Conservation is located within the historic Victoria School building in downtown Owen Sound. Our fully equipped conservation and custom framing studio offers 1,000 square feet of open work space, with 15 foot ceilings and three large, east-facing windows. Updates to the facility include secured entry, smoke detection, and climate control systems to regulate temperature and relative humidity. In addition to our workspace, the studio houses a comprehensive range of specialized tools, equipment, and chemical supplies required for the cleaning, repair, stabilization, restoration, and preservation of fine art, photographic, and archival materials. We love our studio and enjoy sharing what we do with others! Studio visits are always welcome, but please contact us before you arrive, as we occasionally work off-site on other projects. Our conservators have trained and been employed at some of the finest cultural institutions and private conservation laboratories in North America. With years of combined experience, each member of our team provides a unique and complimentary program of expertise, skill, and research. One of the advantages of a multidisciplinary practice is in our ability to collaborate when preparing treatment plans; ensuring the best possible outcome for every object we treat. We are active members of the conservation community and continually strive to employ the most current techniques, materials and equipment available in the industry. We regularly attend professional workshops and conferences, deliver talks, provide hands-on training and demonstrations, and publish our research. Our conservators hold professional memberships with the Canadian Association for Conservation (CAC) and/or the American Institute for Conservation (AIC). Amber Harwood received a 4 year associate diploma in Material Art & Design, with a specialization in textiles, from the Ontario College of Art & Design (Toronto), a Bachelor of Arts Honours, with a specialization in photography and museum studies, from the University of Guelph (Guelph), and a Master of Art Conservation, with a specialization in paper conservation, from Queen’s University (Kingston). Before entering private practice, Amber had the opportunity to work and train within some of Canada’s finest laboratories, art galleries and archives, including: The Canadian Conservation Institute (Ottawa), Library and Archives Canada (Gatineau, Quebec), City of Ottawa Archives (Ottawa), the Art Gallery of Ontario (Toronto), Paul Petro Contemporary Art (Toronto), and the Tom Thomson Art Gallery (Owen Sound). She has worked with such noted collections as the Andrews-Newton Photographers and the Ottawa Journal (City of Ottawa Archives), the Betty Goodwin archival fond (Art Gallery of Ontario), and individual artworks by Roy Thomas, Carl Beam, and W.J. Philips (private collections). Amber served as Eastern Ontario’s regional representative to the Canadian Association for Conservation (CAC) and was the Canadian liaison to the Emerging Conservation Professionals Network of the American Institute for Conservation (AIC). She has curated and designed numerous exhibitions, presented research, given lectures and workshops, and contributed to professional publications. Amber uses her multidisciplinary background, both academic and practical, to inform and uniquely enhance her approach to the treatment and long-term preservation of works of art and cultural heritage objects. Maki Ikushima received a Bachelor of Fine Art, with a specialization in figurative and mural painting, from the Ontario College of Art & Design (Toronto), and a Master of Art Conservation from Queen’s University (Kingston), where she specialized in paintings’ conservation. Maki has worked for several private and public institutions throughout her career, including the McMichael Canadian Art Collection (Kleinburg), Anita Henry studio (Montreal), the Musée des Beaux Arts (Montreal), JANA conservation (Toronto). She has experience working on large-scale church paintings, historic canvas, metal, and wood panel paintings, painted metal and wooden sculptures, and 20th century non-objective and colourfield paintings. Maki has also treated delicate and rare artworks such as watercolour portraits on ivory, Japanese scroll paintings, and mosaic tile murals. Throughout her career, she has had the pleasure of conserving artworks by famous Canadian painters such as Jean-Paul Riopelle, Paul-Émile Borduas, A.J. Casson, and Takao Tanabe. Currently, Maki splits her working time between Georgian Bay Art Conservation in Owen Sound and Art-Kitech Conservation in Toronto, Ontario. Monique Patterson graduated from the University of Toronto with an Honours Bachelor of Science, majoring in Biological Sciences and Art History. Inspired during a visit to the Art Gallery of Nova Scotia, she spent a semester studying the Florentine method of conservation at SACI (Studio Arts Centers International) in Italy. Furthering her education at the National Museum Institute (India), she received a Master of Art Conservation specializing in the conservation of traditional easel paintings. Over the years Monique has had the pleasure of treating works by prominent Canadian artists such as Douglas Coupland, Norval Morisseau, Paul Kane, and Lilias Torrance Newton. She has worked for public institutions such as INTACH (India National Trust for Art and Cultural Heritage), NRLC (National Research Laboratory for Conservation of Cultural Property) and the ROM (Toronto). 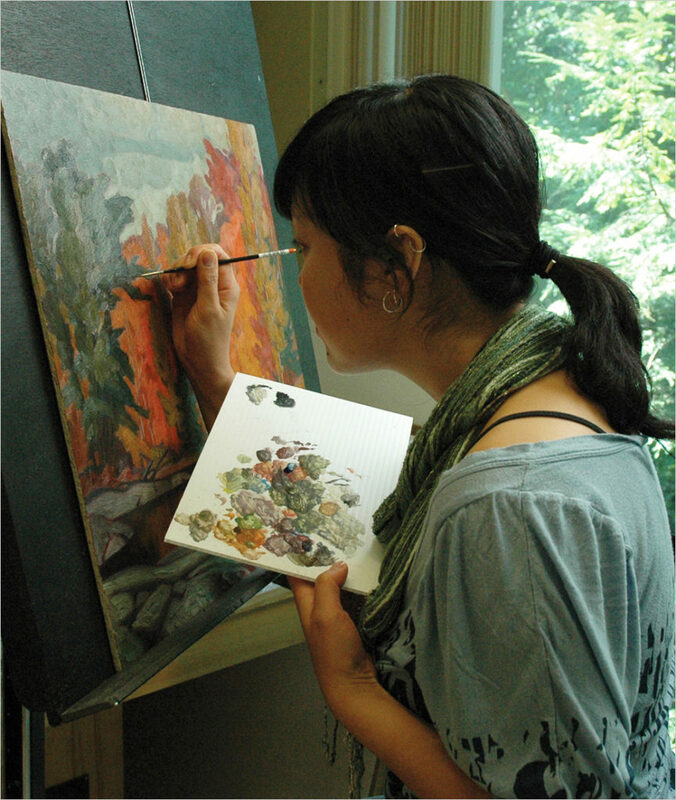 Currently, Monique acts as Paintings Conservator for Georgian Bay Art Conservation in Owen Sound and other private practices in the Toronto area. With over twenty-five years of experience in the arts and culture sector, Rachel Monckton, principle of RJMJ Art Appraisals is dedicated to meeting the needs of the clients with efficiency and confidentiality. Every report completed by RJMJ Art Appraisals complies with the requirements set forth by the International Society of Appraisers and the Uniform Standards of Professional Appraisal Practice, organizations dedicated to promoting high standards of the appraisal profession. Rachel studied Visual Arts (Honours Specialization) at Western University, with an interest in Modern and Contemporary Art. 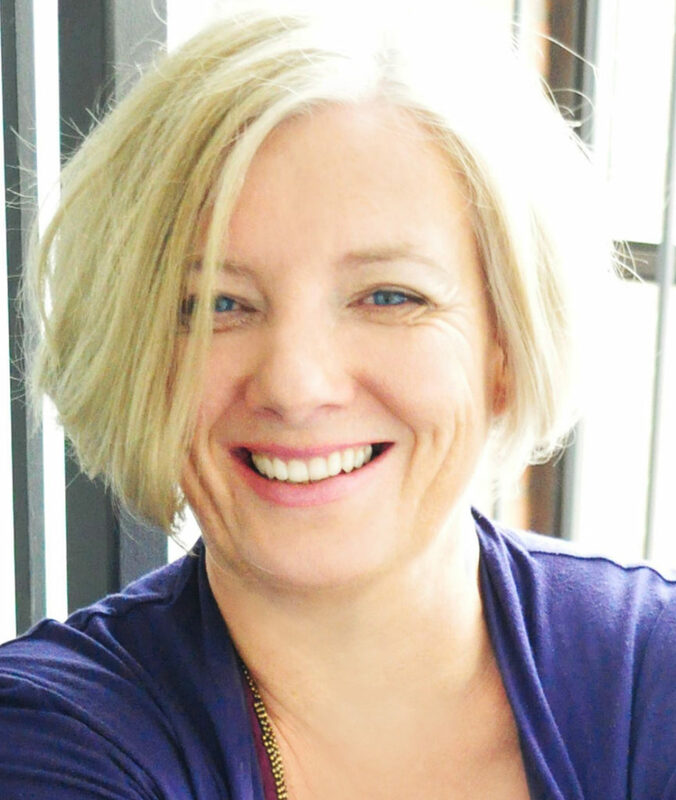 Currently she chairs the Professional Development Committee for the Canadian Chapter of the ISA, with the goal to offer enrichment for all members and continued engagement within the North American arts and culture community. 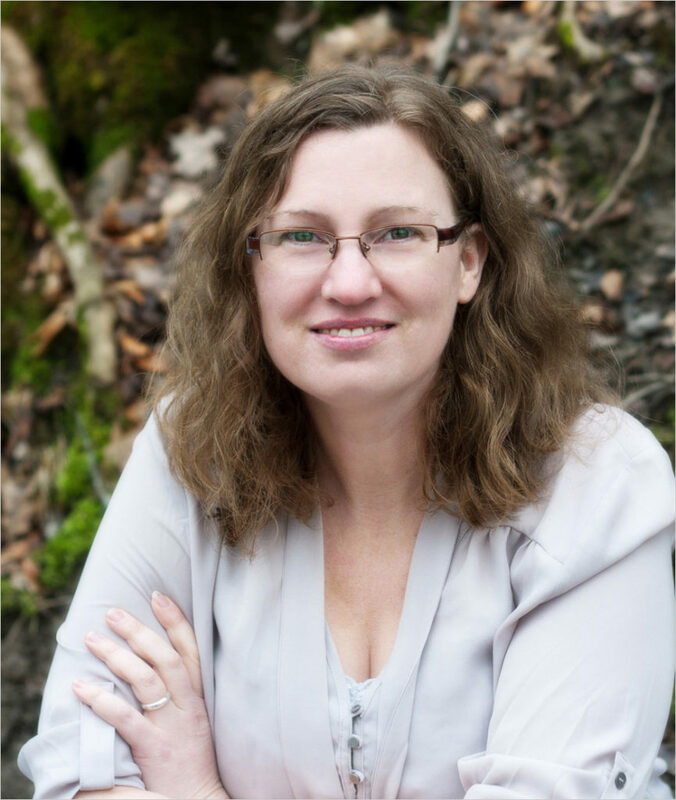 Rachel established her art appraisal services in 2013, after 5 years as manager of the permanent collection of the Tom Thomson Art Gallery, Owen Sound Ontario. 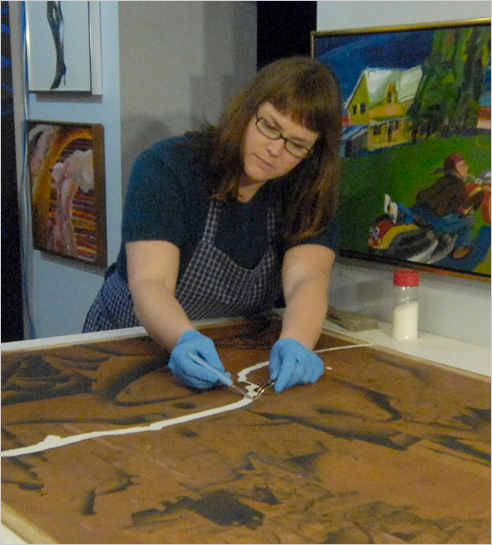 Through this experience, overseeing a collection of 2200 works of Canadian authorship, as well as contracts with the Art Gallery of Ontario (2004-07) as a preparator and collections management assistant, Rachel has extensive knowledge of Canadian Art History and Contemporary Practices. Her specialization encompasses Canadian Art from historical to contemporary works in a variety of mediums including works on paper, paintings, photography, sculpture, mixed media and assemblages. As well, assignments include the valuation of works of British, American and European origins and comprise collection management and curatorial services dependent on the requirements of our clients. Rachel shares her personal and professional time between Toronto and Grey/Bruce County. Robert Alton was born in Markdale, attended High School in Flesherton and University in Toronto. While living in Toronto, Robert worked for a variety of organizations including the Art Gallery of York University, the Craft Studios at Harbourfront, the PowerPlant Contemporary Gallery, and the Playwrights Union of Canada. Robert has been working as a professional art installer in the Owen Sound area for 7 years. 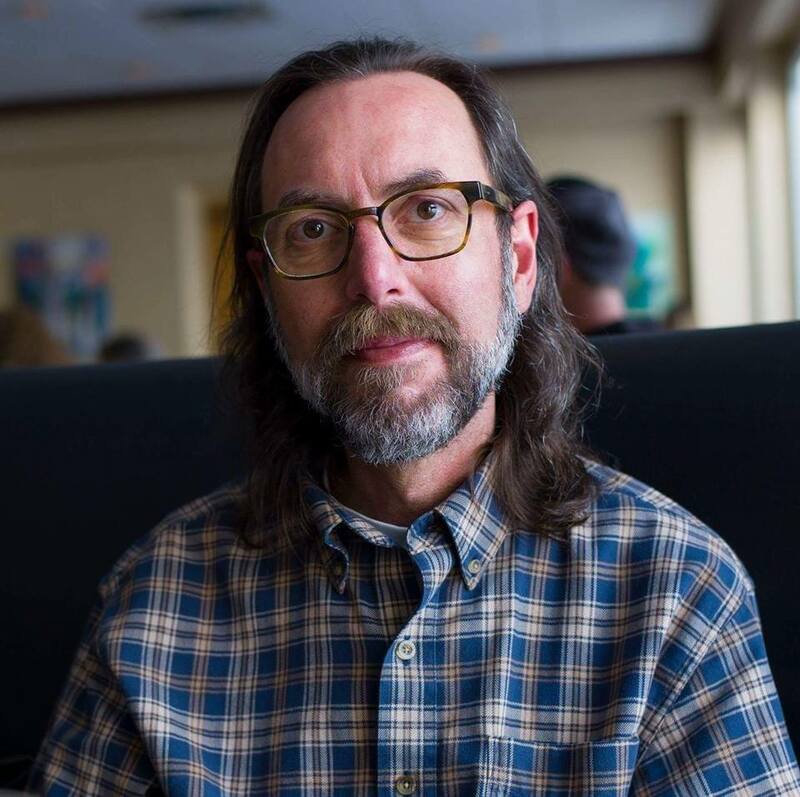 He is the former Exhibitions Coordinator for the Tom Thomson Art Gallery and has installed exhibitions at Grey Roots Museum and Archives, Meaford Hall and THE MUSEUM in Kitchener. Robert has had the opportunity to coordinated exhibitions and installed artwork for many renowned artists such as Laurent Craste, Michele Karch-Akerman, George McLean and Judy Chicago. He has also installed works by many historical Artists, including every member of the Group of Seven, and Tom Thomson. Robert’s extensive art handling experience, knowledge, and personal communication skills has helped him gain the trust of many art professionals within the industry. GBAC is thrilled to welcome Robert to our team our experts. Amy Burrows completed a 3-year Graphic Design course at Fanshawe College (London, Ontario). In 2003 Amy returned to her hometown to work as a Junior Designer at Triax Design (Owen Sound, Ontario). In 2006 Amy accepted a position at another local print and design firm, Austin Graphics, as their lead graphic designer. During her 10-year tenure with the firm Amy had many unique opportunities to showcase her design and photo editing skills. Her extensive graphic design experience, knowledge of pre-press processes, and print-materials are a huge asset to our team. Over the years Amy has worked with a variety of corporate and private clients including, the Tom Thomson Art Gallery, where she developed, with precision, digital artwork reproductions for their gift shop, and designed and produced informative exhibit panels. In addition to being a vital part of the Georgian Bay Art Conservation team, Amy is the owner and principle graphic designer at her own firm, Innisfree Design.